Squirrel Identification Resources | What Kind Of Squirrel Is That? What Kind of Squirrel is That? Noticed a squirrel in your yard, or driving through your neighborhood, that you haven’t seen before? Different look, or color? How many types of squirrels are there anyway? Our squirrel identification resources list can help you identify the little buggers. There are more than 200 species across the world, with what seems like endless colors and sizes. There are actually only 3 types of squirrels in the US: tree squirrels, flying squirrels, and ground squirrels. The characeristics and colors of squirrels range from gray, red, black, and yes, blue squirrels! 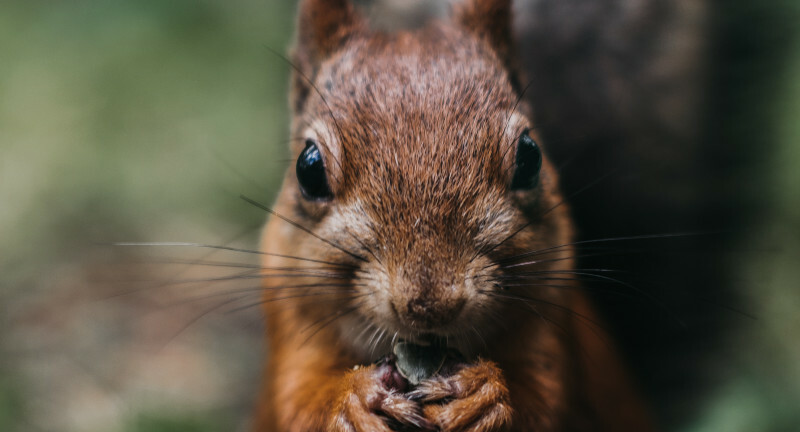 All Of The Types of Squirrels is a great article with information on Fox, Eastern Gray, California Ground Squirrell, Southern and Northern Flying Squirrels. Squirrel Species Identification Tips provides a ton of information on colors, identifiying characteristics, and behaviors; most ofthe squirrels are found in the Portland/Vancouver area. Identifying Eastern and Western Gray Squirrels is a specific look at gray squirrels, their differences and similarities.